Smooth walls. External joint mechanisms. Without them, your extraction arms can actively hinder extraction. Particles become disrupted or blocked. Pulling power is reduced. Energy costs increase. 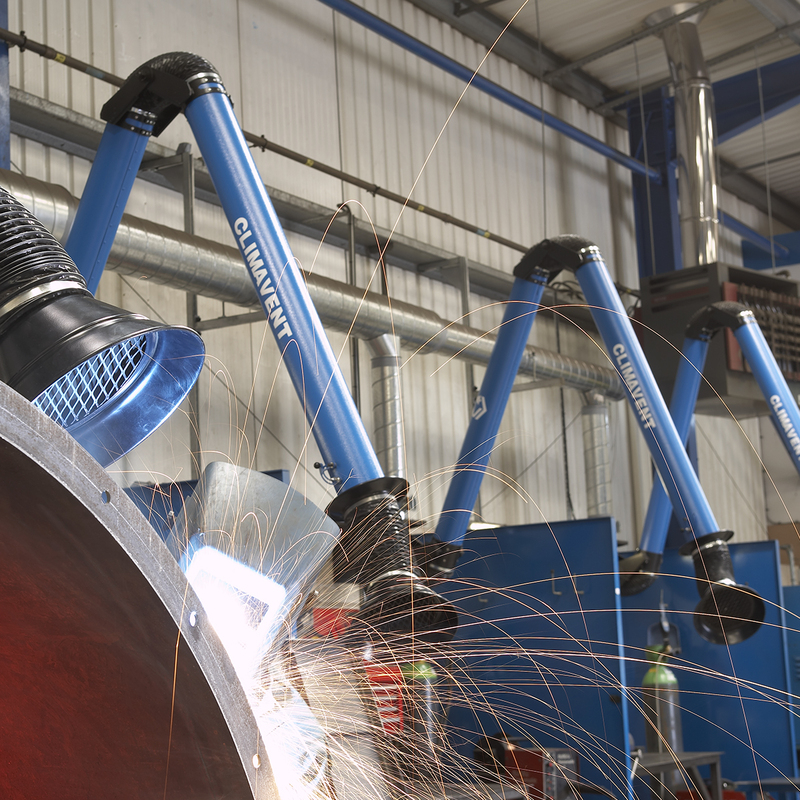 But Climavent self-supporting extraction arms optimise pulling power and reduce energy consumption, ensuring a constant force that makes them suitable for extracting all types of hazardous dusts and fumes. 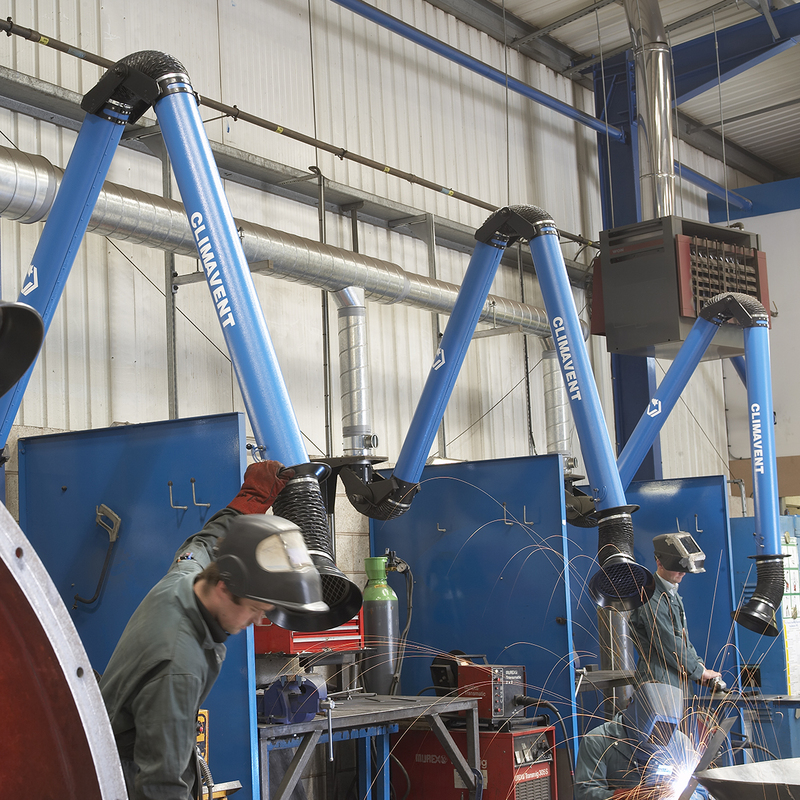 Adapted to your fixed or mobile extraction system, our extraction arms rotate through 360°, can be wall or bench mounted, and manufactured in aluminium or stainless steel. They can also provide forced cooling and ventilation for otherwise inaccessible applications. 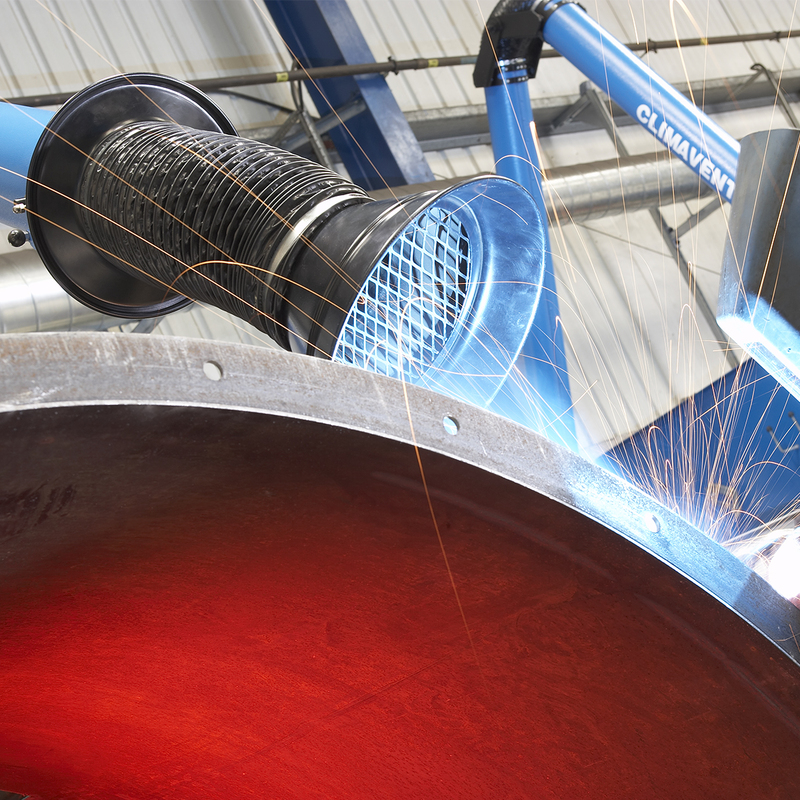 Available in diameters of 80mm, 100mm and 150mm and lengths of up to 5m, with complementary sliding rails and extension booms that can increase reach to up to 10 metres, talk to Climavent about the extraction arms that can help boost efficiency and cut your operating costs.